SINGAPORE (Reuters) – Oil prices fell on Monday as last week’s rise in the U.S. rig count pointed to a further increase in American production that could undermine OPEC-led efforts to tighten markets. A statement by Kuwait’s oil minister that OPEC and other oil producers will study before June next year the possibility of exiting their global oil supply-cut agreement also weighed on prices, traders said. U.S. West Texas Intermediate (WTI) crude futures (CLc1) were at $57.14 a barrel at 0418 GMT, down 22 cents, or 0.4 percent, from their last settlement. Brent crude futures (LCOc1), the international benchmark for oil prices, were down 25 cents, or 0.4 percent, at $63.15 a barrel. “The largest concern for investors currently remains the rise in the U.S. rig count, which could potentially jeopardize the OPEC and Russian agreement when they meet for a review in June 2018,” said Shane Chanel, equities and derivatives adviser at ASR Wealth Advisers. 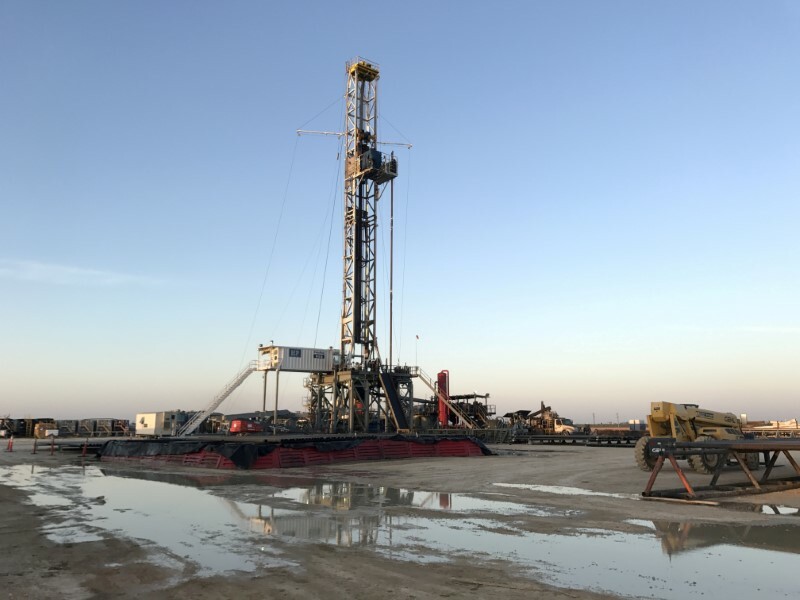 The number of rigs drilling for new oil output in the United States rose by two in the week to Dec.8, to 751, the highest level since September, General Electric Co’s (N:GE) Baker Hughes energy services firm said on Friday. A higher rig count points to a further rise in U.S. crude production , which is already up by more than 15 percent since mid-2016 to 9.71 million barrels per day (bpd). That’s the highest level since the early 1970s, and close to levels from top producers Russia and Saudi Arabia. Rising U.S. output threatens to undermine efforts led by the Organization of the Petroleum Exporting Countries (OPEC) and a group of non-OPEC producers, including Russia, to support prices by withholding supplies. Kuwait’s oil minister Essam al-Marzouq said on Sunday, however, OPEC and other oil producers will study before June possibly ending the global oil supply cuts earlier. This entry was tagged brent crude futures, crude futures, oil prices, OPEC, U.S. West Texas Intermediate Crude, WTI. Bookmark the permalink.